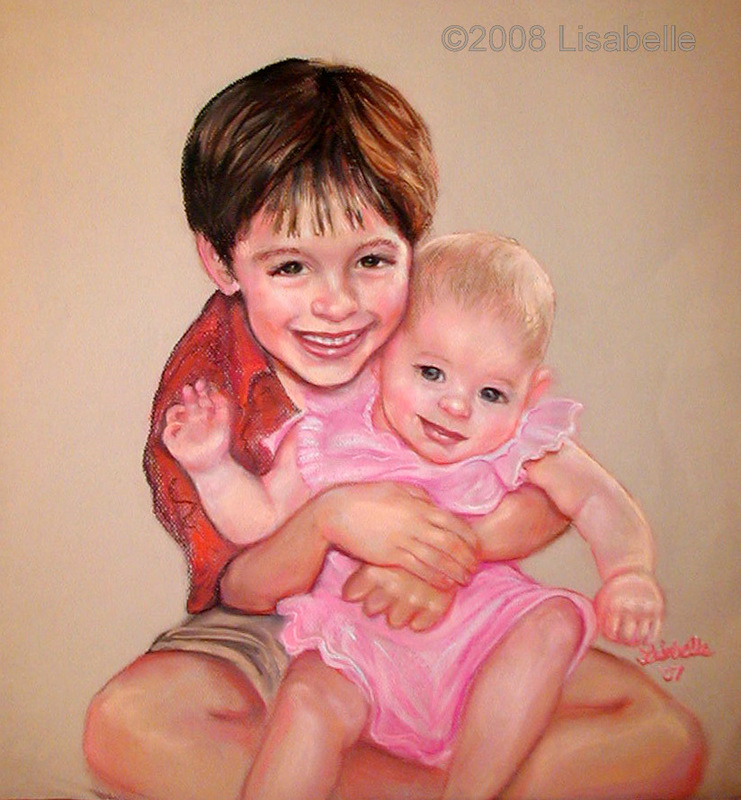 Pastel portrait by Lisabelle of a young pair of siblings. Hand painted in 2007 using Unisom Pastels. Known for excellent light fastness and buttery softness, rich colors that are handmade with the same pigment properties found in the finest oil paints. This is a painting from a photo, the size of the photo I was given was wallet sized a 1.5" x 2.25". At the time, that was all the commissioner had of her favorite subjects, and time was running out it was shortly before Christmas in 2007. Belinda's Grand Babes 2007 on a full sheet of Mi Tientes acid-free pastel paper by Canson. I enjoyed working the affectionate physical closeness of this brother and baby sister. This is a good example of children's portraiture. To commission your own children's pastel portrait click here.